Our Gurkhas is an anthology of portraits and anecdotes from the retired Singapore Gurkhas as they reminisce about life in the Lion City — from the 50s till today. This is a work in progress. The Gurkhas, men from Nepal, serve in the Gurkha Contingent of the Singapore Police Force. Established in 1949, the legacy of the Gurkha Contingent goes beyond the independence of Singapore. After the war, including the 50s and 60s, as Singapore arrived closer to independence, the Gurkhas came into prominence as they played a key role in neutralizing riots — especially those that involved the Chinese and Malays. They were valued as an impartial force in light of multi-ethnic tensions. Famed for their bravery, loyalty and impartiality, little is known about the Gurkha and his family — housed in a barricaded compound off Joo Seng street in Mount Vernon Camp. In Nepal, I tracked down, interacted and photographed these Gurkhas — from the states of Pokhara, Bhairahawa, Dharan and Katmandu. Currently, there are over 2000 retired Singapore Gurkhas scattered over the country, and mainly in these four states. Some have migrated in countries like the United States, Hong Kong and Canada. In making these portraits, I conferred importance to these silent sentinels and their place as a community in Singapore. Of portraits and short stories. This anthology serves to bring awareness, provide identity and uncover historical anecdotes of Singapore through the eyes of the Gurkhas. It should also serve as an important visual archive of an invisible community. Having served over two decades of their lives in this city, their attachment and memory — as well as their wives and children — of Singapore is still raw. Those who arrived in the 50s, 60s and 70s spoke bazaar Malay cheerfully as it was the language used by all races in the early years of modern Singapore — a language used by our parents and grandparents. They remembered the turbulent early years, in quelling riots and strikes that were widespread in pre-independent Singapore. They remembered walks along the Singapore River — passing by Raffles Place, the old Treasury and Henderson bridge as they observed the rapid transformation of the city skyline. Their memories and their stories, if not collected, will be forgotten. In remembering these Gurkhas — our Gurkhas, in fact — is to give them a place in Singapore's history. 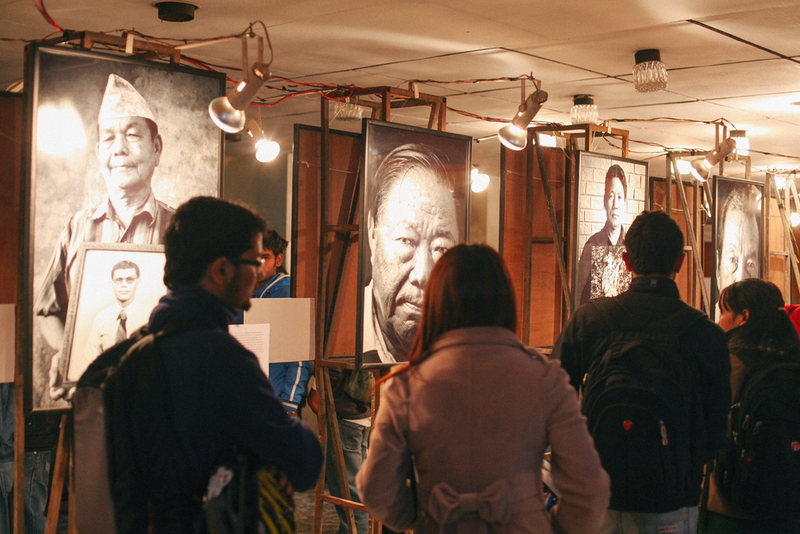 'Our Gurkhas' exhibited at the 2012 Kathmandu International Mountain Film Festival. Zakaria Zainal makes meaning of the world through his photographs. Enticed by the visceral changes of a former monarchy’s transition to a federal republic in Nepal, he first picked up his camera. His first monograph, “Our Gurkhas: Singapore Through Their Eyes” is an anthology of portraits and anecdotes of the retired Singapore Gurkhas as they reminisce about life in the Lion City, from the 1950s till today. For more information on the book, you can download the media kit here. For a signed copy of the book, please fill up the form below. Limited copies left.